The Union County Prosecutor’s Office continues to investigate the alleged sexual abuse of minors by a Union Township man. 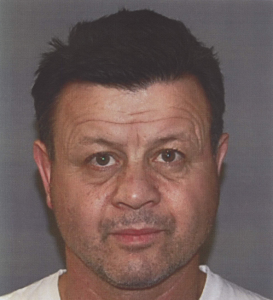 Valter Sforca, 52, of Union was recently arrested and charged with the sexual abuse of two minor children who visited his home between 2008 and 2011. On January 31, 2012, Mr. Sforca was attempting to flee the country and was offering $8,000 to a distant acquaintance to help get to Canada, JFK Airport, or leave for Brazil via Port Newark. Once the acquaintance learned that Mr. Sforca needed to surrender himself to the police for a child sexual abuse arrest warrant, the acquaintance contacted authorities. Mr. Sforca was immediately arrested. Mr. Sforca has since posted $500,000 in bail and currently has an electronic wristlet monitoring his whereabouts. An investigation by Detective Cassie Kim of the Union County Prosecutor’s Office has identified the first names of two additional victims. One of the victims may have recently relocated to Brazil following the abuse. Authorities are asking for assistance in identifying the two additional child sexual abuse victims. Any parent who has had a child visit or sleepover Mr. Sforca’s residence on Indian Run Parkway is asked to contact Detective Cassie Kim at (908) 965- 3886 immediately. UCPO has staff members that are fluent in Portuguese. The defendant is presumed innocent until proven guilty in a court of law.